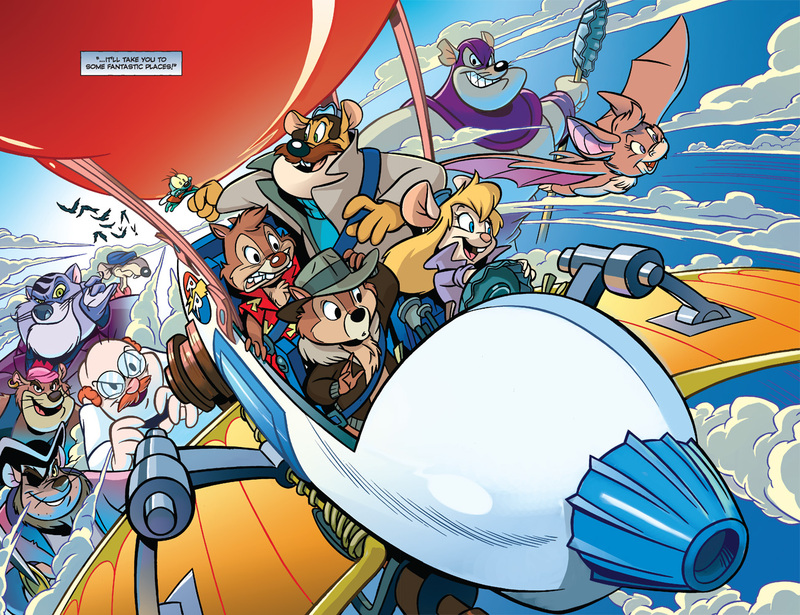 Based on the cartoon that ran for 65 episodes from 1989 to 1990 comes new adventures from Chip and Dale, starting in December. Being a child of the ’80s, I certainly remember the ‘toon. Now BOOM! 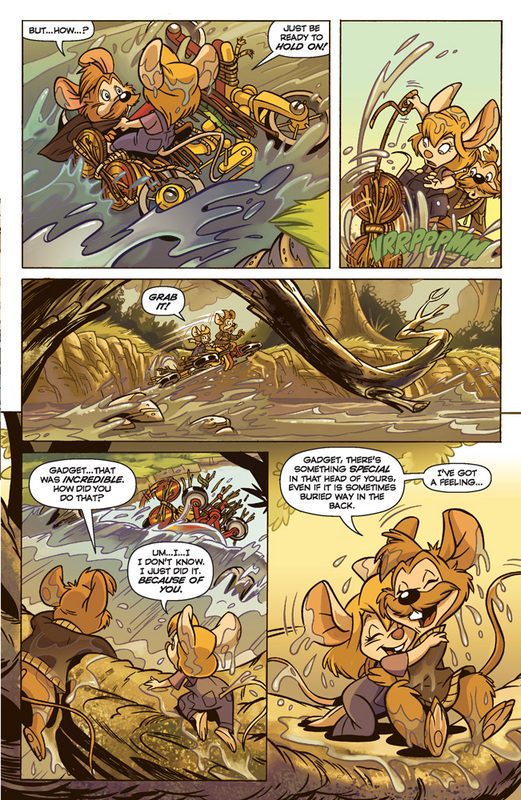 Studios are catering to your nostalgia with a new series starring the chipmunk detectives/adventurers. Official details and great looking preview below. 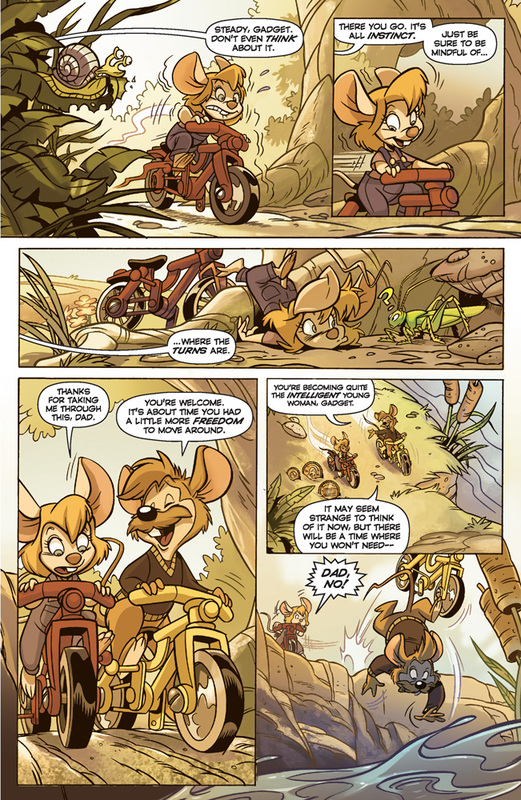 CHIP ‘N DALE RESCUE RANGERS #1 is currently available for pre-order from your local comic shop. To contact or find the local comic shop nearest you be sure to use the Comic Shop Locator. 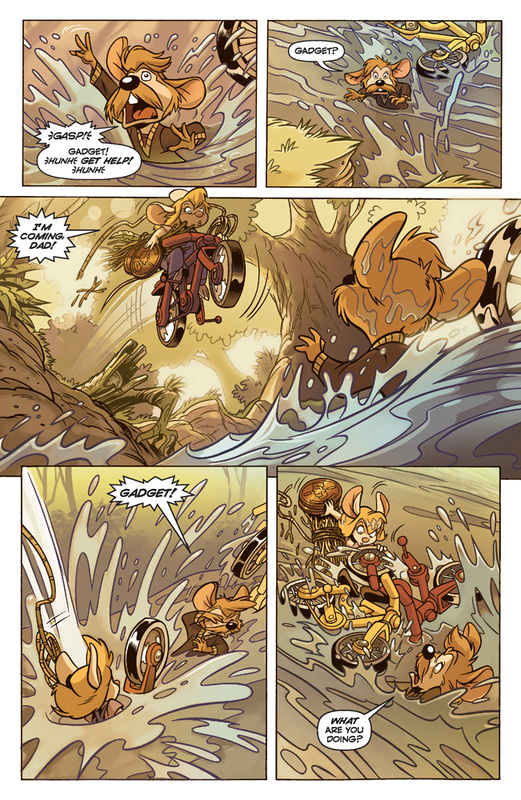 CHIP ‘N DALE RESCUE RANGERS is written by fan-favorite DARKWING DUCK author Ian Brill, with art by MARVEL SUPERHERO SQUAD’s Leonel Castellani and ships with two covers in a 50/50 split by Leonel Castellani and Magic Eye Studios respectively, with a 1-in-10 incentive cover by Jake Myler. 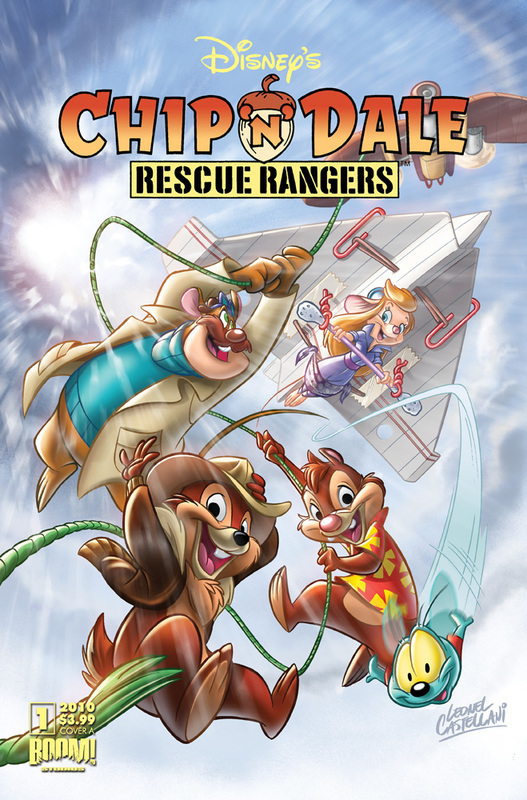 CHIP ‘N DALE RESCUE RANGERS #1 carries a Diamond Code of OCT100886 and is shipping this December.